Usually, the recipes that I post have some sort of redeeming quality – something that makes them healthy. This recipe has nothing. It is the gluten-free equivalent of out and out junk food. But, hey, these aren’t for me to eat. These aren’t even for my family to eat. These are for my son’s school’s annual carnival bake sale. And everyone needs a few bake sale standbys, right? I realize I’ve already posted a recipe for sugar cookies. The advantage of this recipe is that it does not require any chilling time, and I was pressed for time when making these. They also result in a less crisp cookie than the other recipe. Of course, the advantage of the other recipe is that sorghum is a whole grain flour, whereas white rice flour is not. The recipe is from Bette Hagman’s The Gluten-Free Gourmet Makes Dessert. She gives directions to use her featherlight flour blend. But, she also gives the recipe for making the flour blend, and I’ve done the math for you to break it down into its components (not perfectly so, but it worked). Confession time: when I read the recipe for the featherlight flour mix, for some reason I read the 1 t. of potato flour/cup of other flour as 1 t. xanthan gum/cup. Yep, totally different things. I didn’t even realize that’s what I did until this morning while typing this up. So, if you want to try it her way, it should be 3.5 t. of potato flour and 2.5 t. of xanthan gum. Or, try it my way. It worked. Go figure. This entry was posted in cookies, desserts. Bookmark the permalink. Oh yum! I had a hard time deciding which post to comment on! Nice blog and great recipes. 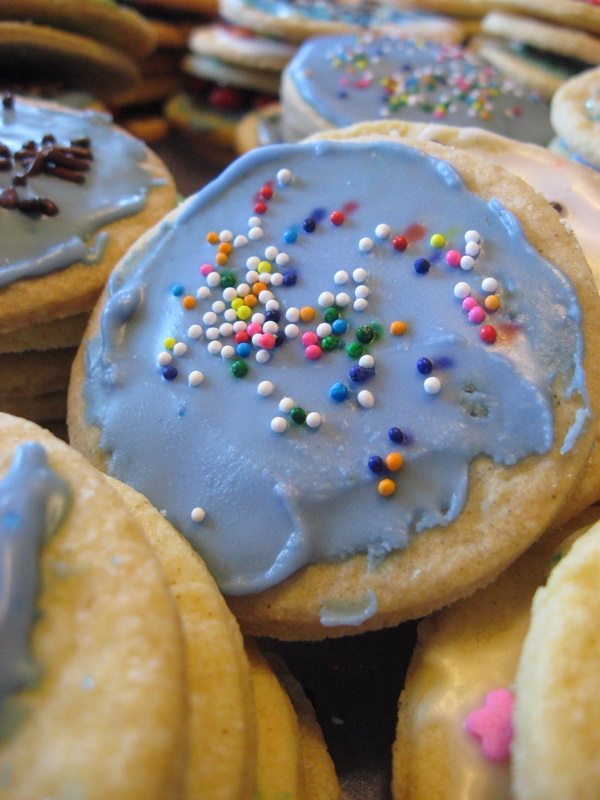 I wish I had this sugar cookie recipe back during the holidays. The ones I made flopped! I will HAVE to try these. Thanks! My son loves to roll out cookies. I’m sure you’ll see more rolled out cookies come Xmas next year!